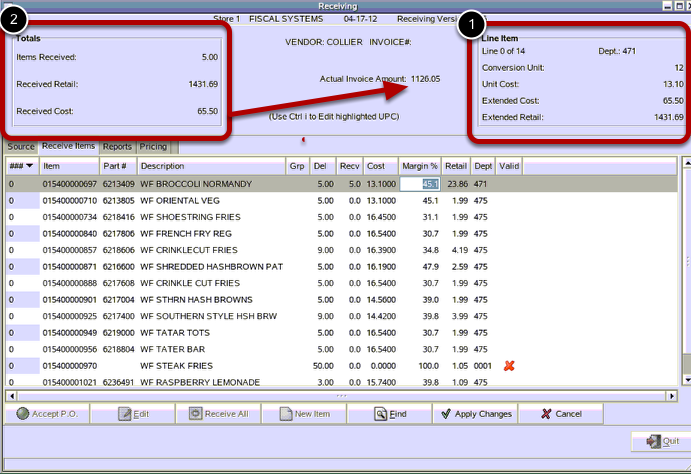 TravStar1 Point Of Sale SystemManager's Work Station Inventory ControlHow Do I Turn an Existing Purchase Order into an Invoice? How Do I Turn an Existing Purchase Order into an Invoice? 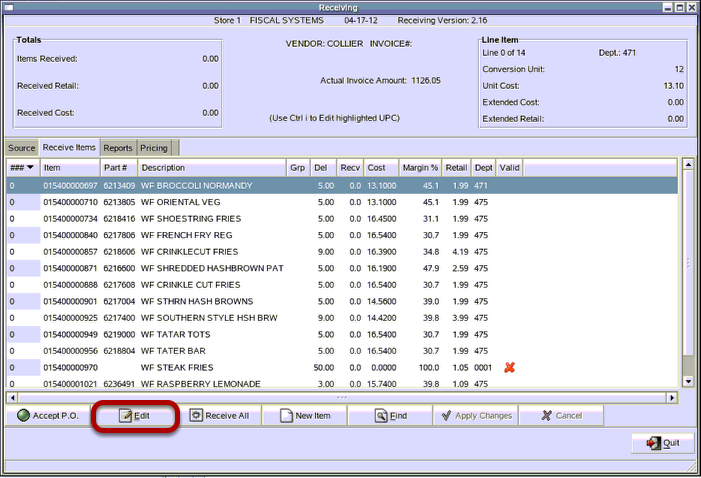 This lesson will teach you how to turn an existing purchase order in an invoice once you have received the order. 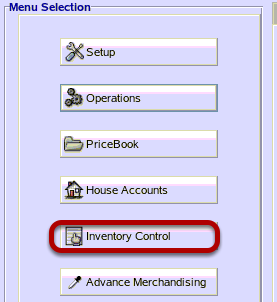 From Inventory Control, click "Receiving". 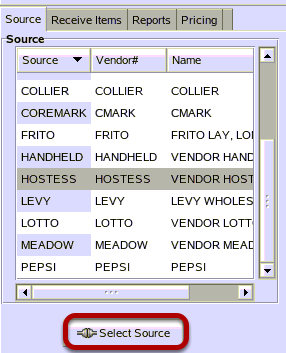 Under Source, locate the vendor of the purchase order. 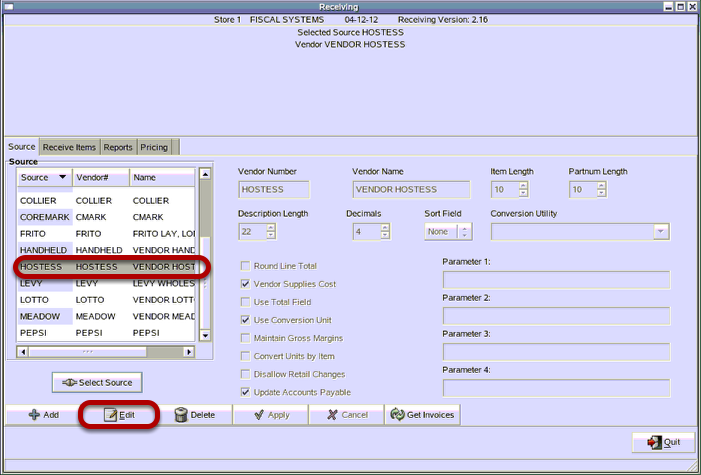 Highlight the vendor name and click on the "Edit" button. 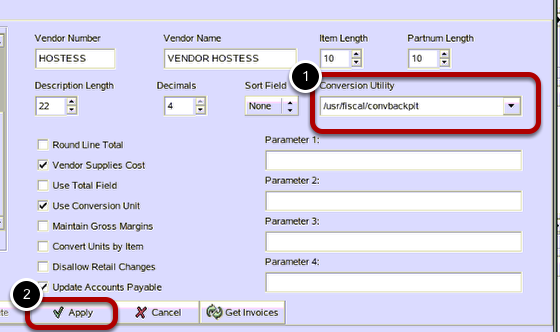 (1) Type /usr/fiscal/convbackpit into the Conversion Utility field. Click on the "Select Source"button. Highlight the Purchase Order Number you want to receive. Then click on the "Select Inv." button. 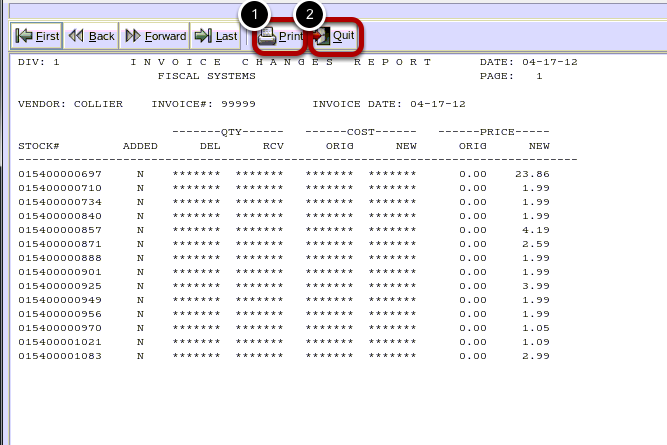 Type in the dollar amount of the invoice, then click on the "OK"button. 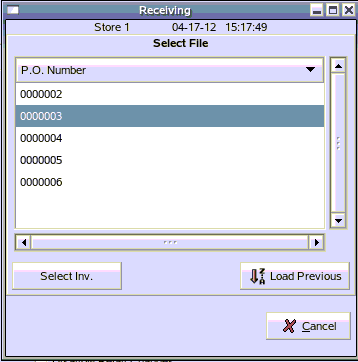 Click in the Recv field and type in the quantity you are receiving. Click in Cost column and enter the cost of the item being received. 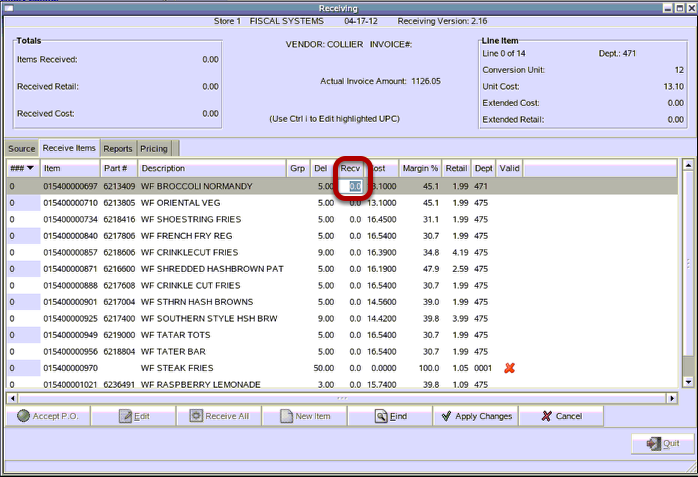 1) In the Line Item section you can verify the Extended Cost matches your invoice for each item received as you enter it. 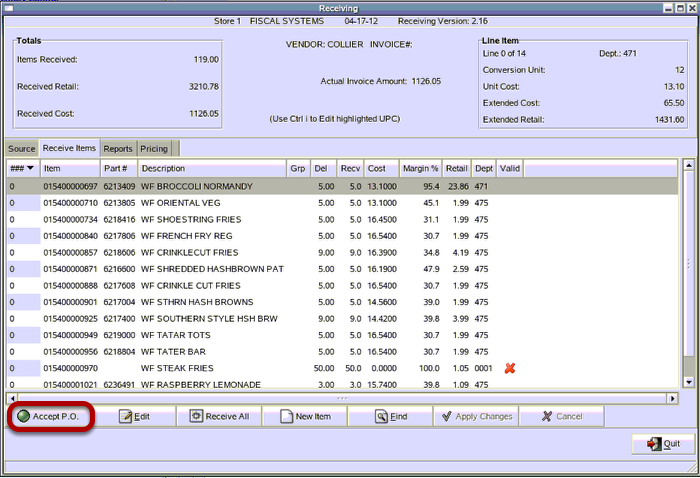 2) In the Totals section, you will see the dollar amount of your invoice increase as you enter it. At the end, your Received Cost should equal you Actual Invoice Amount. To accept this Invoice, click "Apply Changes". 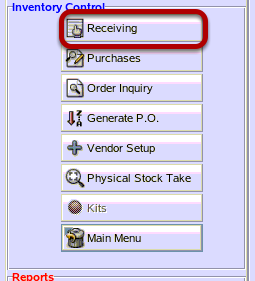 To receive quantities into inventory, click "Accept P.O." Click on the Original Invoice Date. 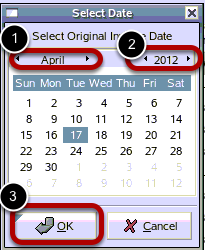 1) To change months use the left and right arrows on either side of the Month Name. 2) To change years use the left and right arrows on either side of the Year. Type in your Invoice Number. 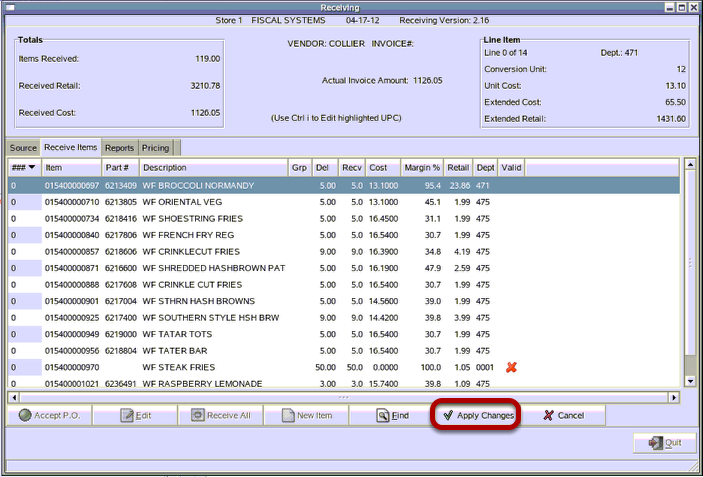 Invoice Changes Report shows you any items that have had a cost or retail update as a part of the invoice you have entered. 1) Click "Print" to send to report to the printer. 2) Click "Quit" to close report. 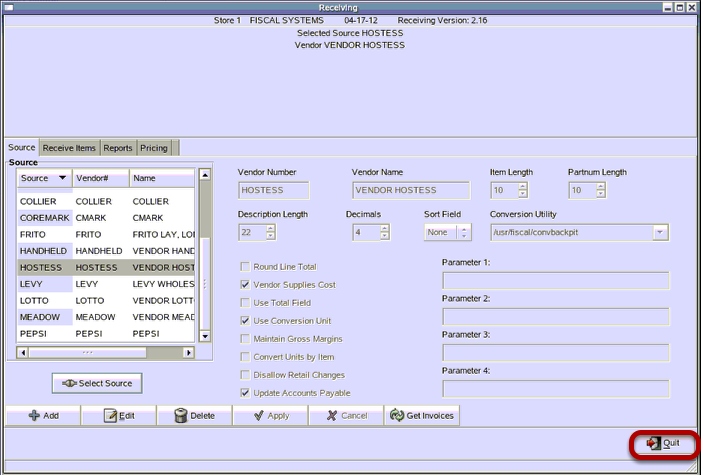 Prev: How Do I Place an Order for a Vendor Manually? Next: What Vendors can be Received Electronically?